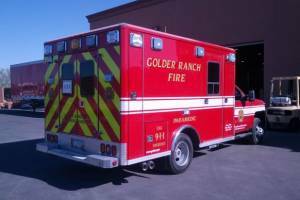 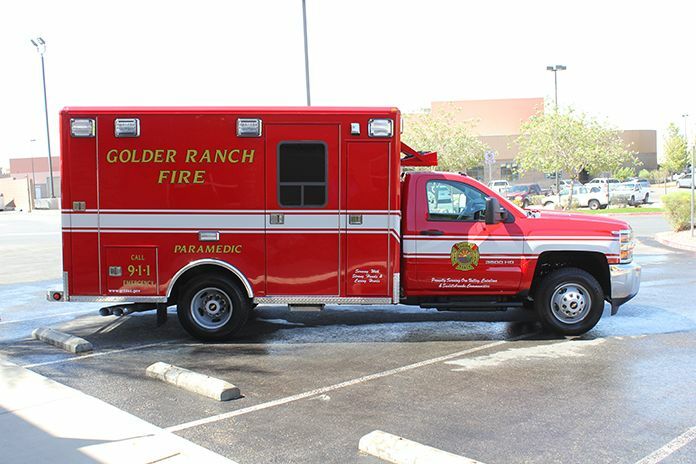 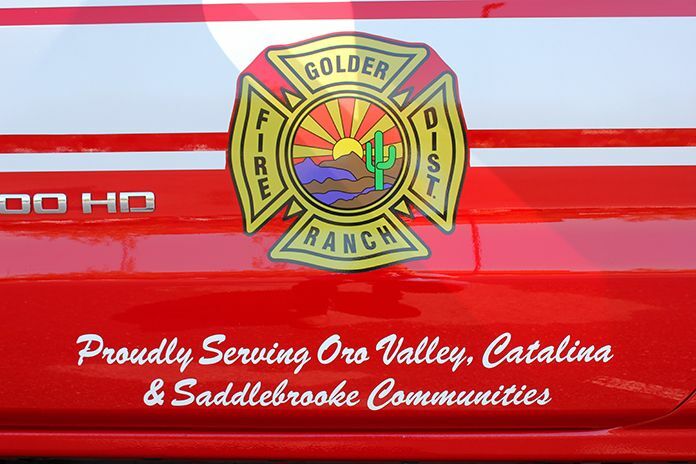 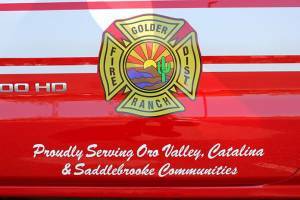 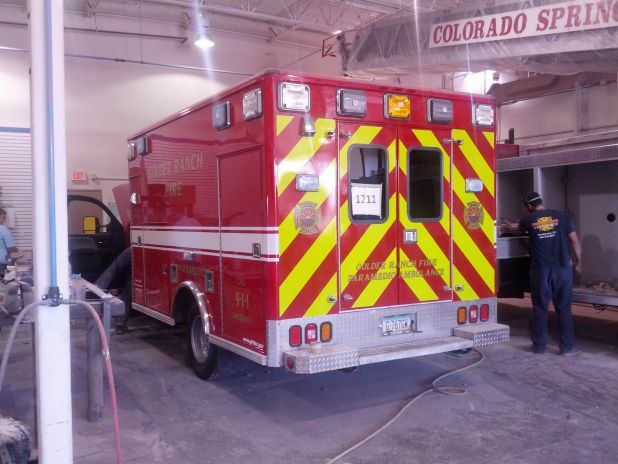 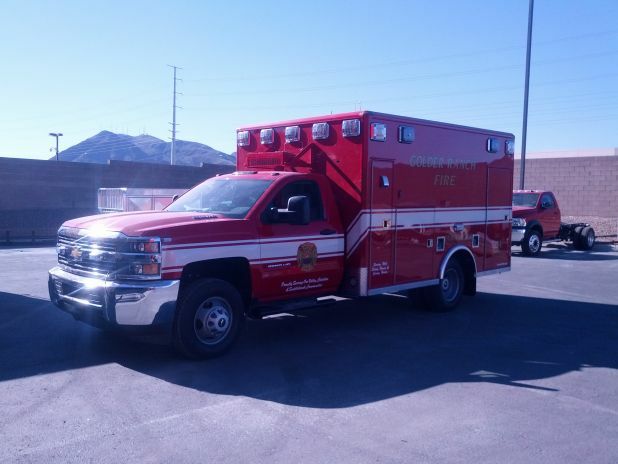 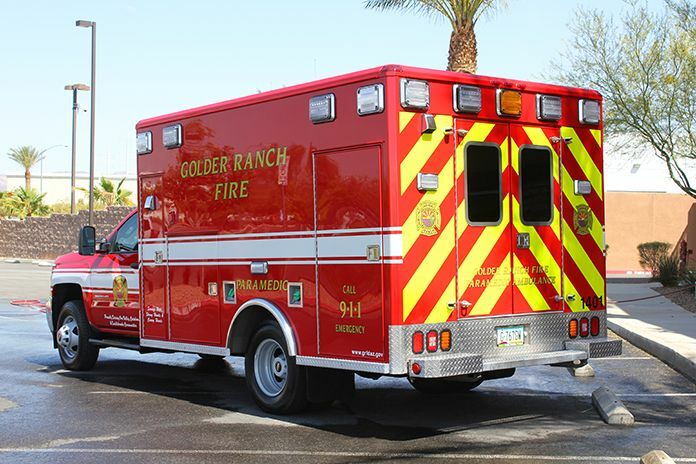 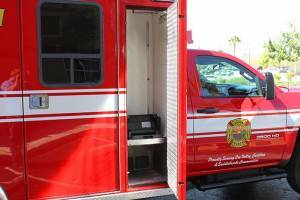 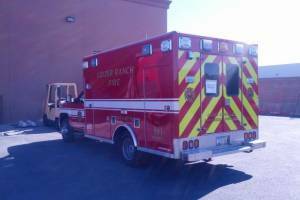 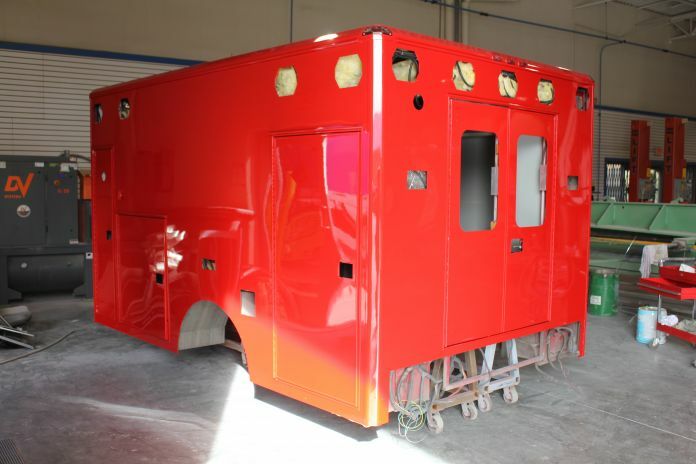 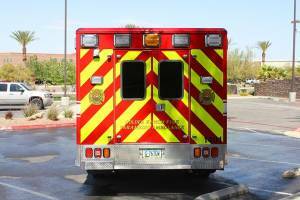 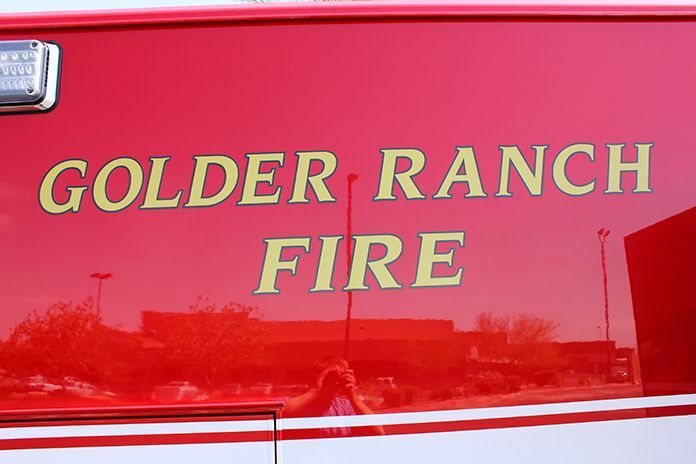 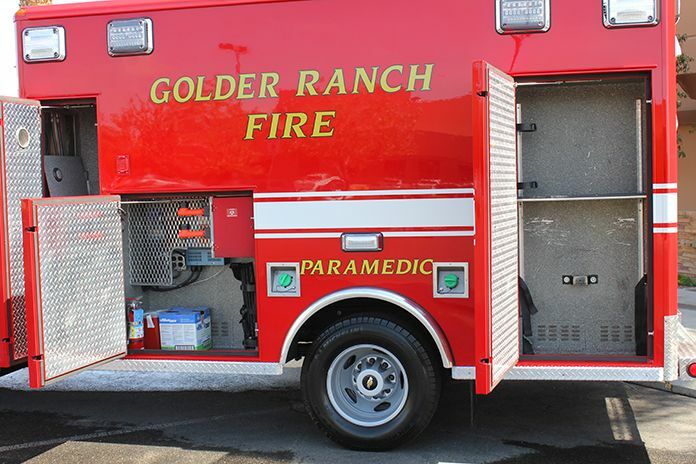 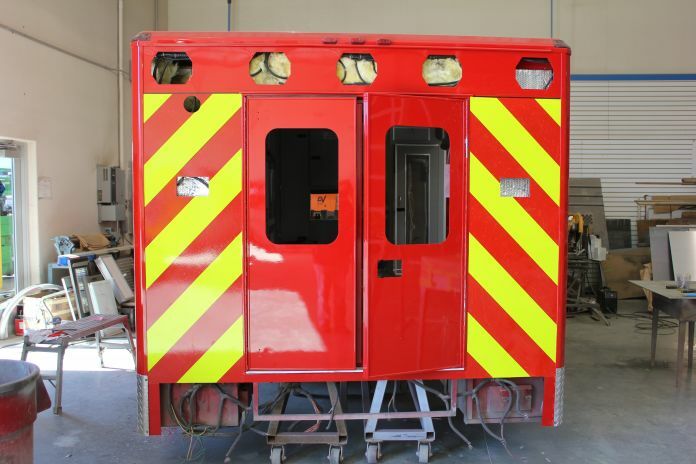 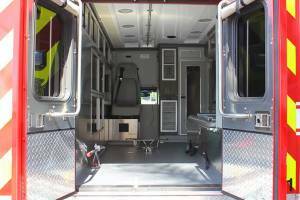 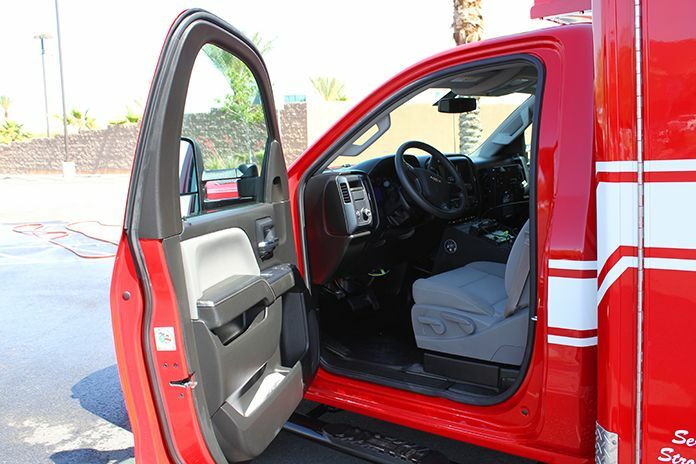 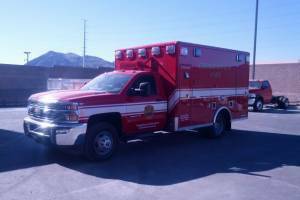 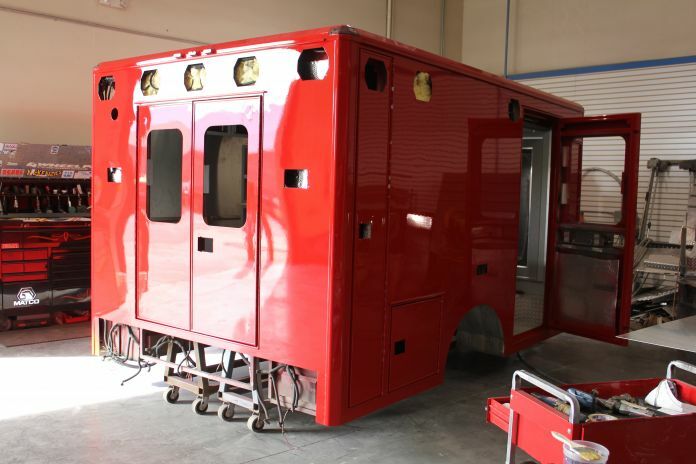 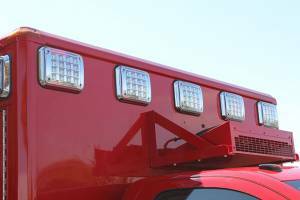 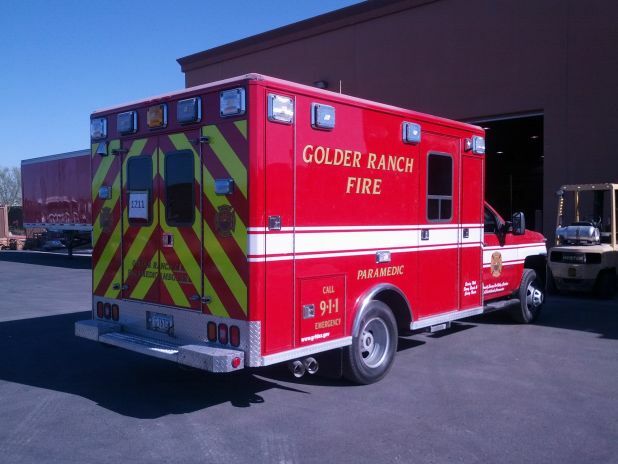 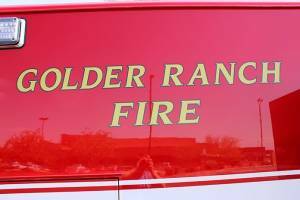 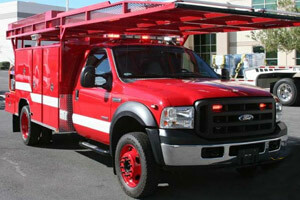 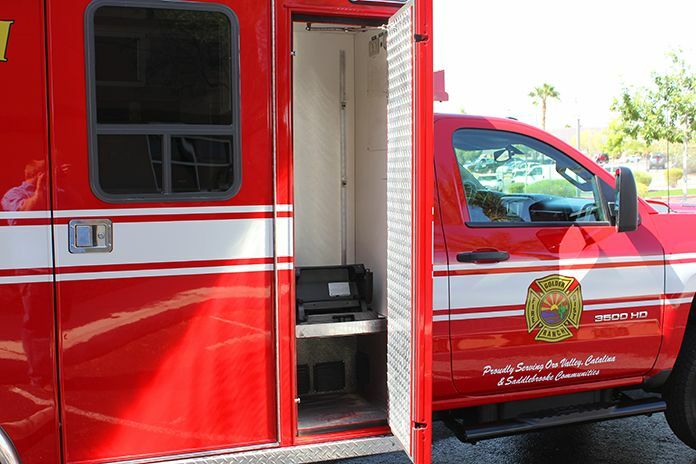 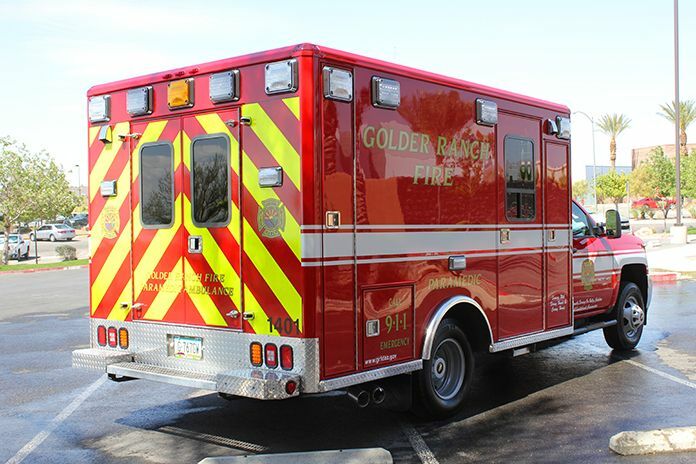 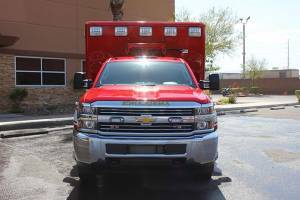 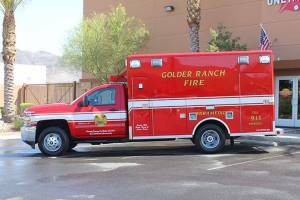 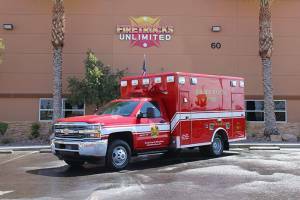 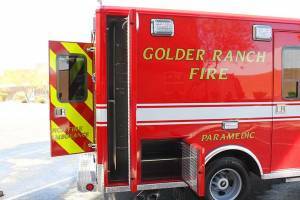 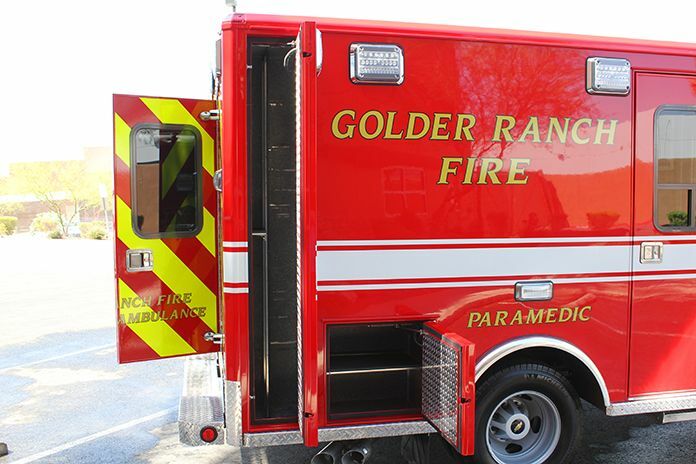 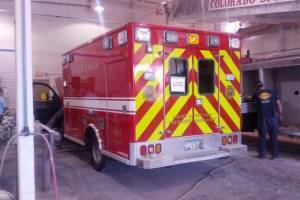 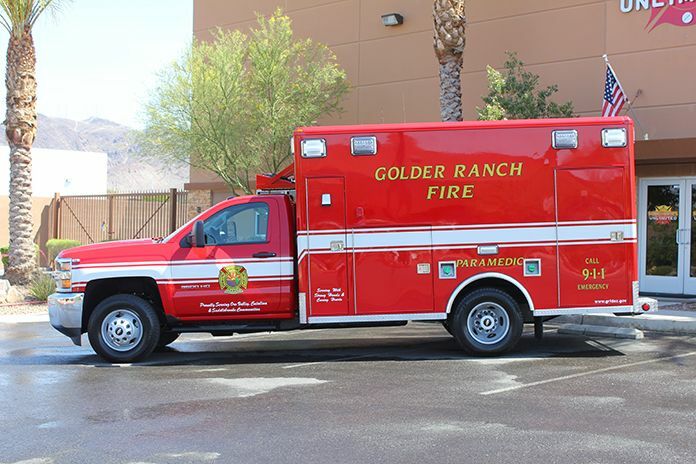 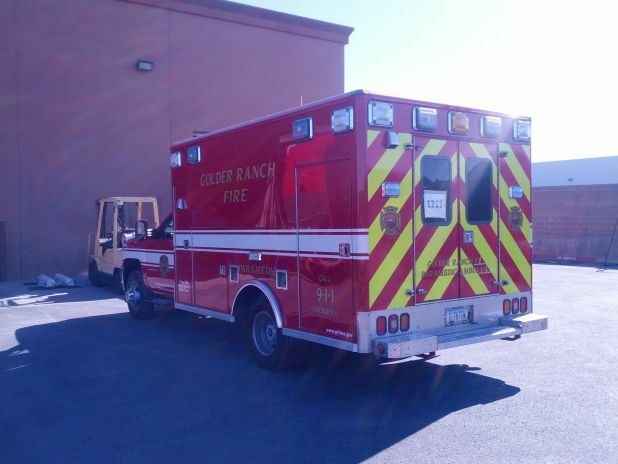 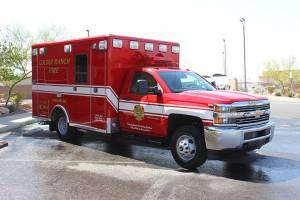 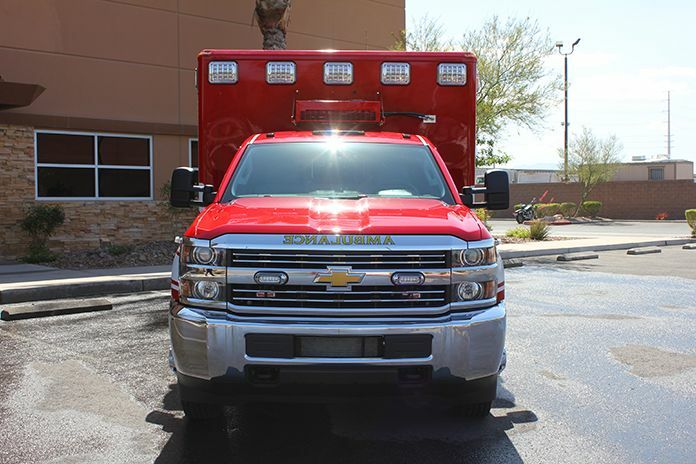 This ambulance was remounted for the Golder Ranch Fire District in Tucson, Arizona. 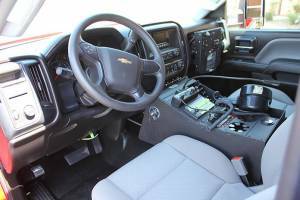 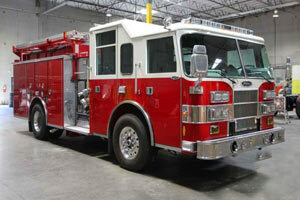 We would like to thank Chief Randy Karrer and Jeff Rowe for your continued business. 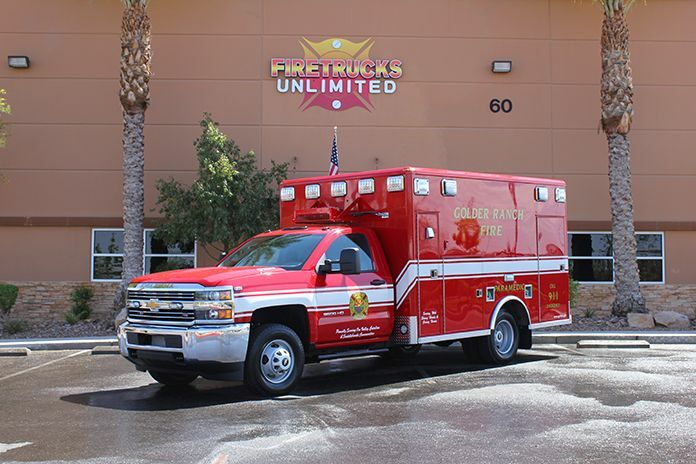 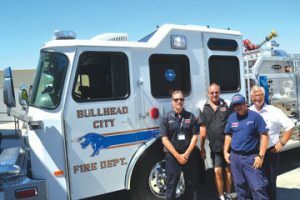 GRFD was one of the first Firetrucks Unlimited customers and their continued support has allowed us to grow into what we are today. 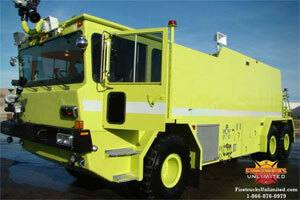 This is the 5th apparatus we have provided to the District. 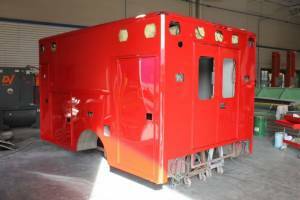 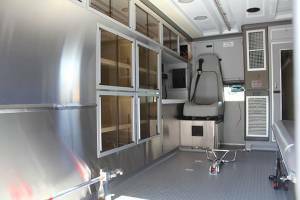 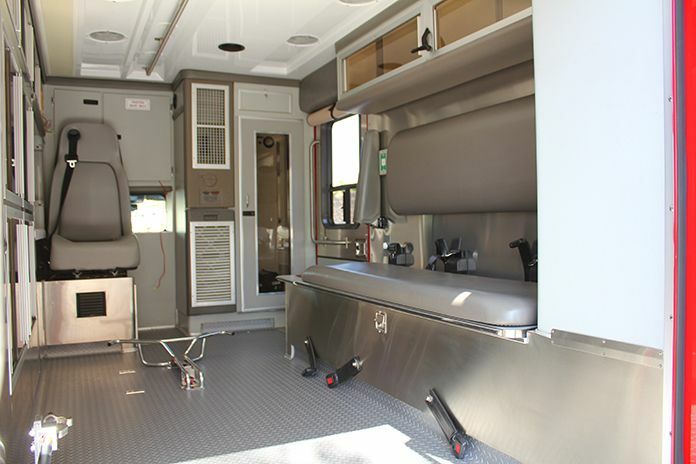 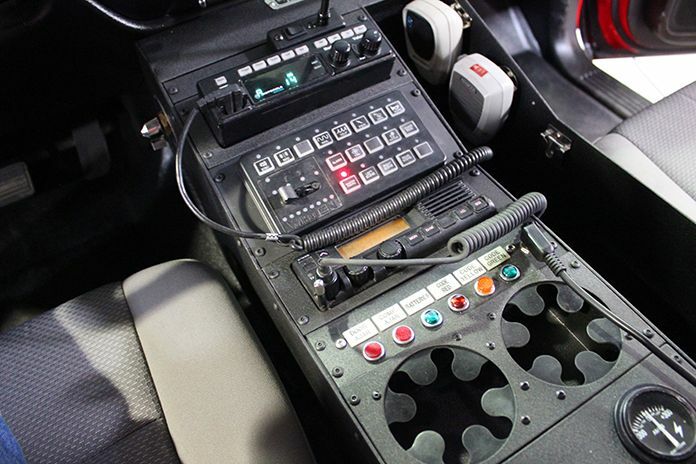 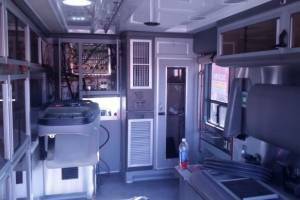 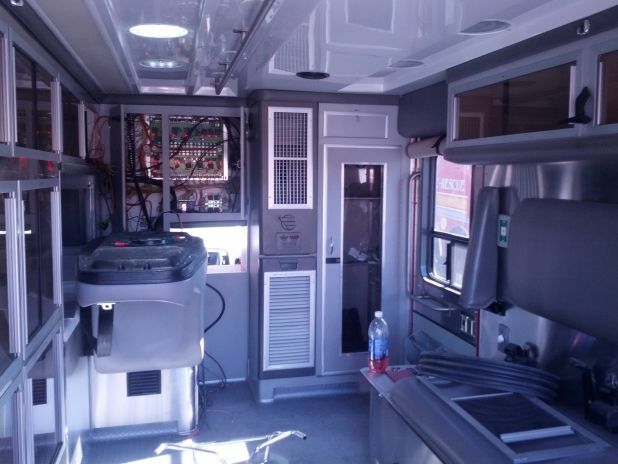 Some details of the remount include a new Chevy 3500 chassis, repaint, new LED lighting, new flooring, new attendant seat with built in child restraint, new stainless steel interior panels, and added a new A/C condenser for patient module to list a few!